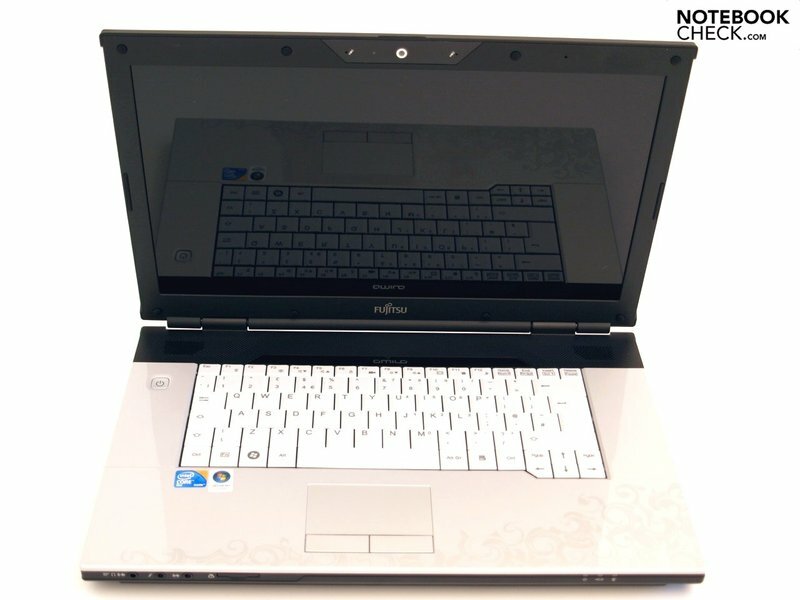 According to Fujitsu, their Amilo Pi 3560 is an attractive "all-rounder". Attractiveness isn't just skin deep, however. The internal components also promise good application and visual performance. The following is our thorough review of the strengths and weaknesses of the Amilo Pi 3560. 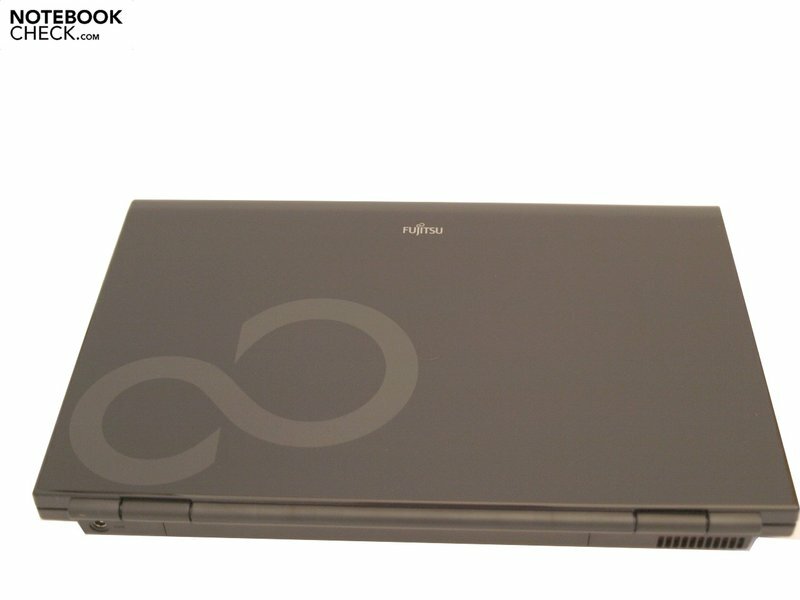 Fujitsu currently offers several notebooks in the category of "all-rounders" - one of which being the Amilo Pi 3560, which is available in a several configuration variations. The models differ from each other not only internally but also in terms of their sizes. 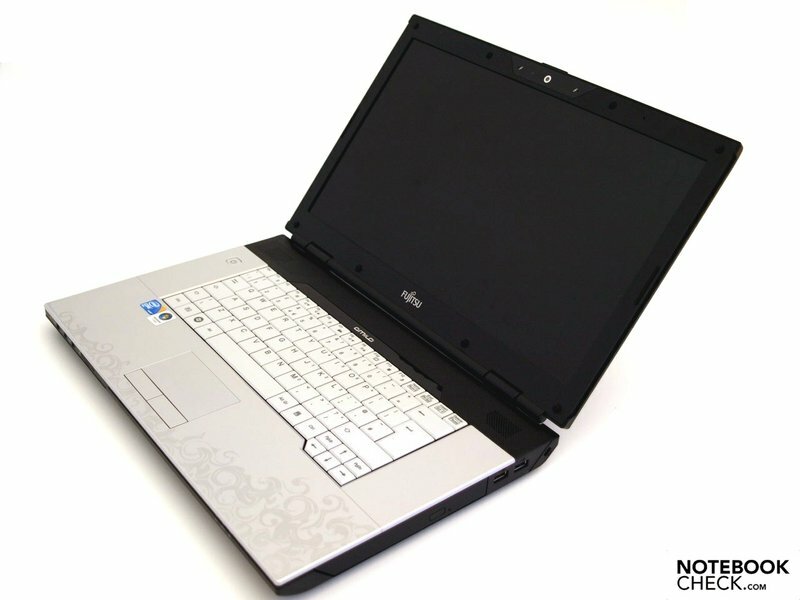 It is available with your choice of either 15.6 inch or 16 inch screen. 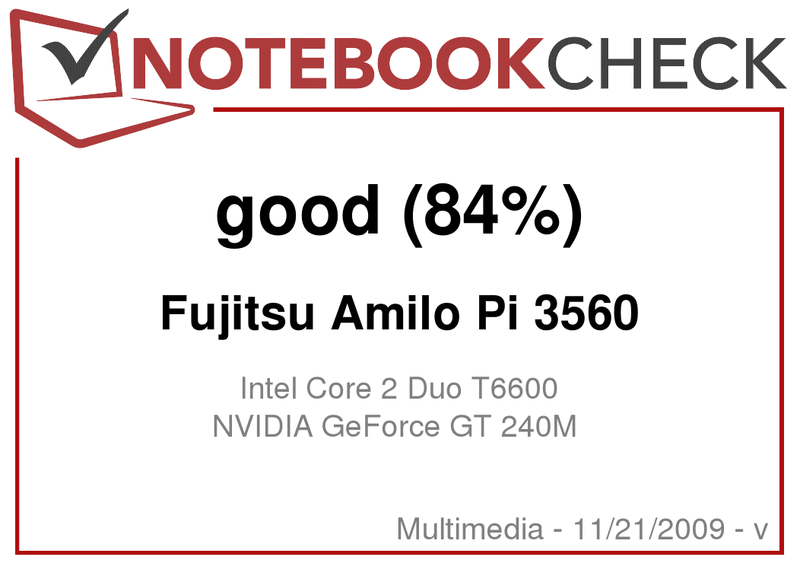 More details will be given in the individual sections to follow, but we can let you in on this much beforehand: Our tester was a Amilo Pi 3560 EF7A with Nvidia Geforce GT 240M graphic card, Intel Core 2 Duo T6600 processor and four gigabytes of internal memory. Traits most strongly dependent on the internal equipment, particularly the performance, battery life, and emissions, may not necessarily apply to other models. If the Pi 3560 is too small, one might then consider its bigger brother, the Amilo Pi 3660. With its otherwise identical internals (depending on the model), its 18.4 inch display in 16780 X 945 pixel resolution makes it more of a larger desktop with a wider view. A lustrously elegant appearance is guaranteed with the Pi 3560. Everything in high-gloss? - No, only the black display lid and a large part of the area around the keyboard, which are showy and sensitive to smudges. This is less noticeable on the patterned, mother of pearl ("silver" according to the manufacturer) palm rests. There is nothing to complain about in terms of stability under pressure and torsional resistance of the basic unit. On the contrary; it leaves a stable and strong impression - also in the area above the optical drive, a problem area for many notebooks. The impression of good quality continues to the display lid. Under twisting forces applied to it, for example when lift at a corner of the display screen with one hand, it gives only a slight amount. Applying strong pressure to concentrated points on the lid, or a bit less pressure against the display frame, are the only things which provoke changes in the picture displayed on the screen. It is advisable to take care when transporting the notebook. The holding power of the hinges is not enough to keep it closed when inverted on the basic unit. When testing this it even opened to about three centimeters. 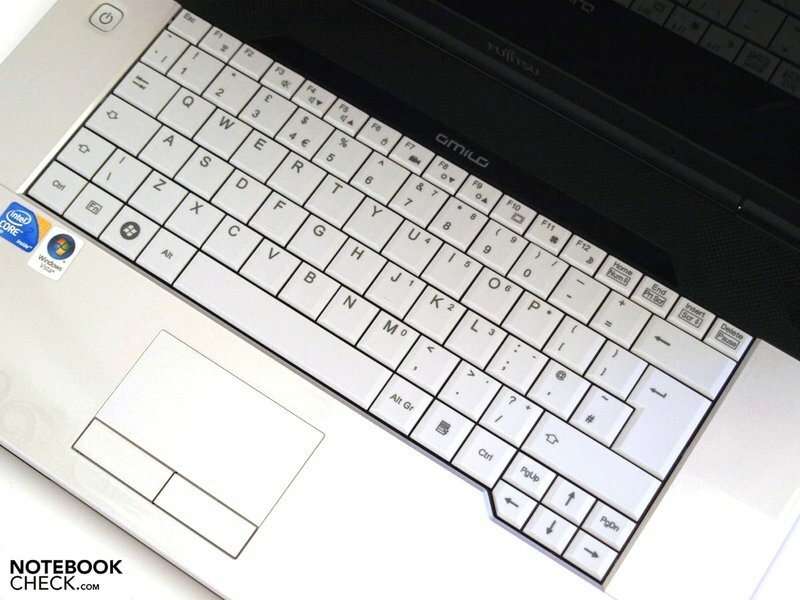 A separate notebook cover is recommended in order to keep foreign bodies from getting in between the keyboard and sensitive display. After adjusting the opening angle to where you like it, one can easily discern shaking. Aside from other reasons which will be explained later, one is best not using it in jumpy working environments, for example while on the train. One-handed opening is also not possible. But, the screen can be tilted almost completely open. 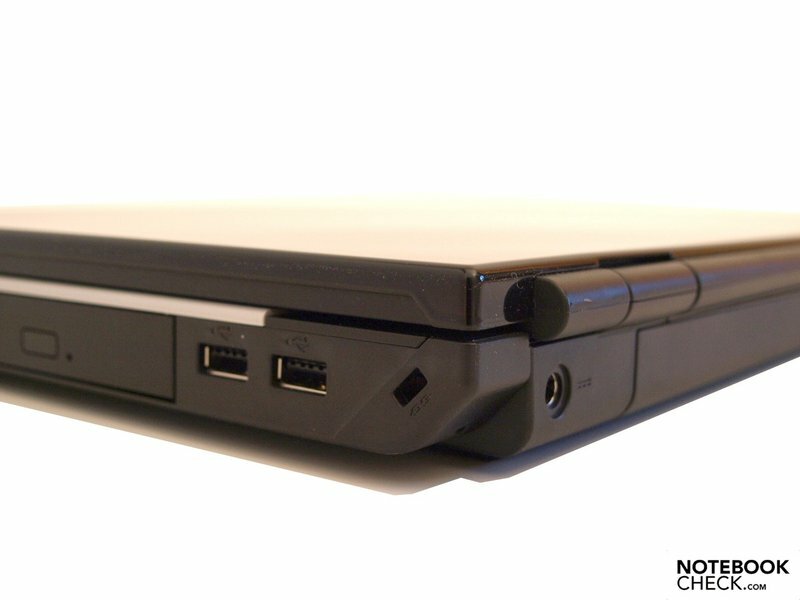 A look over the laptop confirms its orientation as a "home theatre". 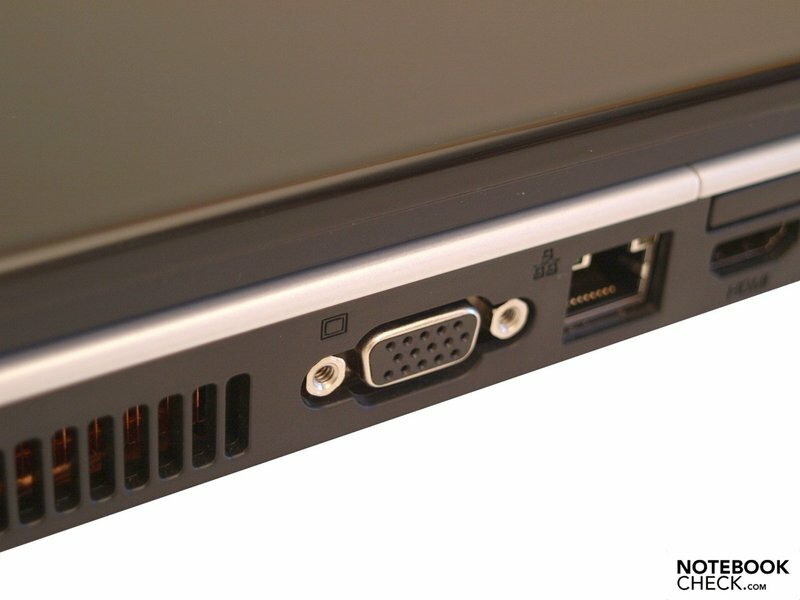 In addition to a conventional VGA-Connector for analogue picture-transfer, transmitting digital images and sounds is also no problem thanks to the HDMI. If needed, two headsets can even be connected. Of the connections, the left 3.5mm port also supports S/PDIF. 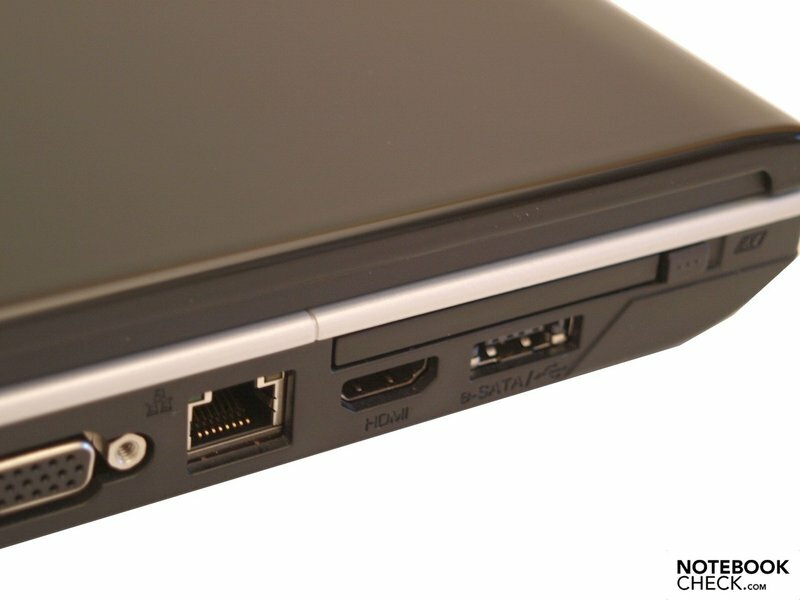 Up to three devices can be connected to the notebook via USB-2.0 interfaces, of which one is handled by a combined eSATA/USB interface, thereby also allowing for faster transfer-rates when connecting to external mass storage devices. The built-in 5-in1 card reader supports formats like SD, MS, MS PRO, MMC, and XD picture card with SDHC. 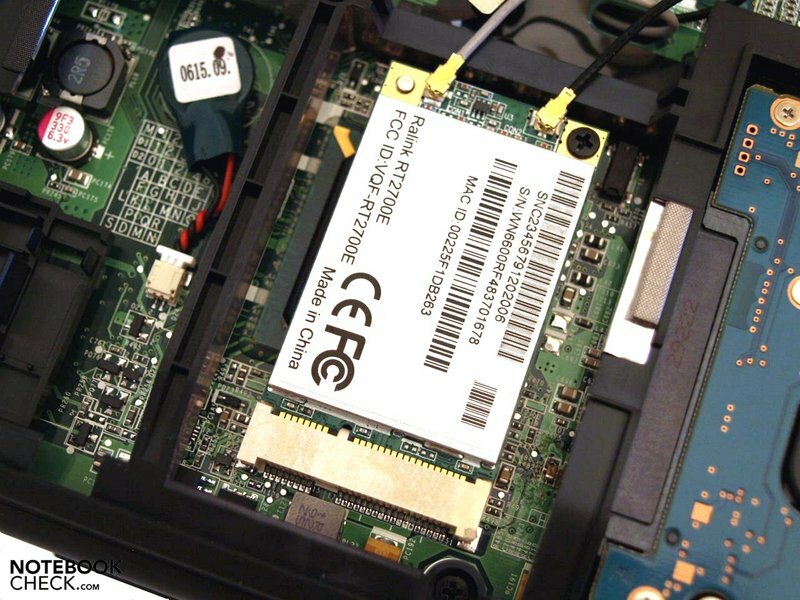 Extentions are possible through the ExpressCard/54 slot. Quick wireless communication via Wifi-Hotspot is handled by a Ralink RT2790 802.11n 1T/2E minCard Wireless Network Adapter, which also supports draft-n. Aside from that, one can also link up to LANs via a cable thanks to the Realtek RTL8168D/8111D PCI-E Gigabit Ethernet adapter. In allow for communication with smaller mobile devices, Bluetooth v2.1+ EDR (Enhanced Data Rate) has been integrated. 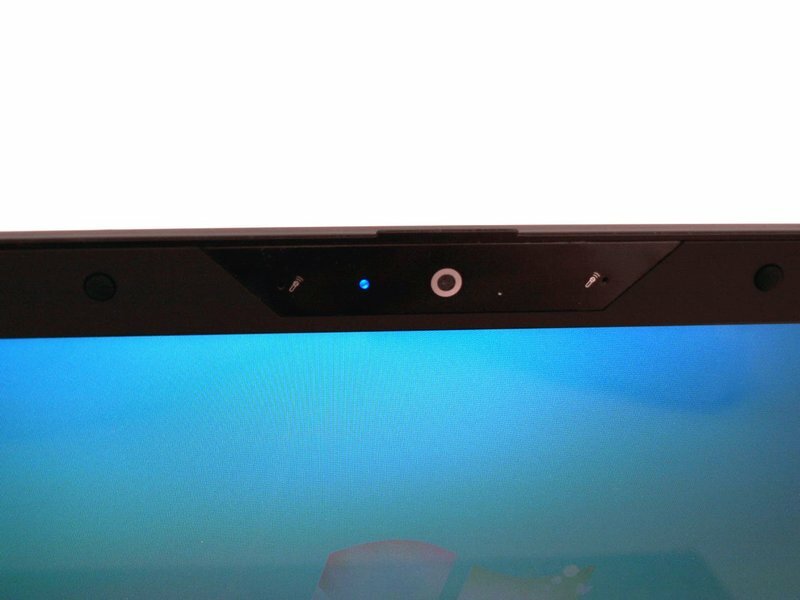 Video phoneing is also no problem thanks to the 1.3 MP WebCam integrated in the upper boarder of the display. Though right-handers may be satisfied with the arrangement of the interfaces, lefties will likely have it a bit tougher depending on the configuration. 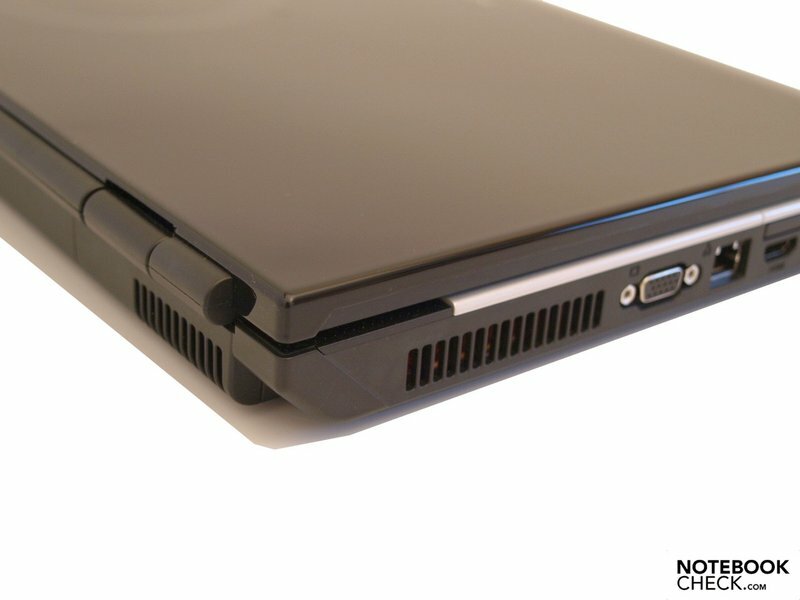 Those interfaces that are likely occupied permanent, such as both video-outs, LAN (RJ-45), and eSATA, are found on the left-side edge in the middle or forward areas. 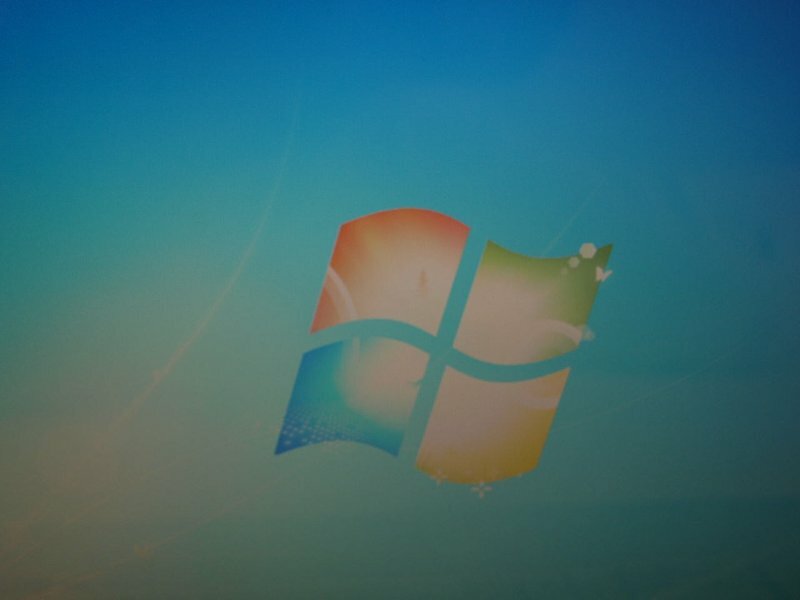 Our tester came with Windows 7 Home Premium 64-Bit already installed. 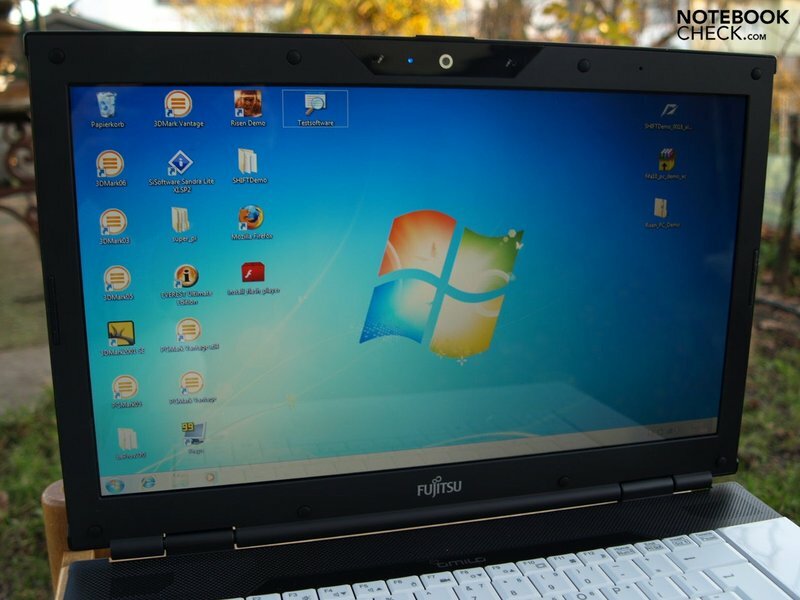 Additionally, Fujitsu also supports Windows Vista Home Premium 64-bit. Recovery media and drivers/storage media were also included. 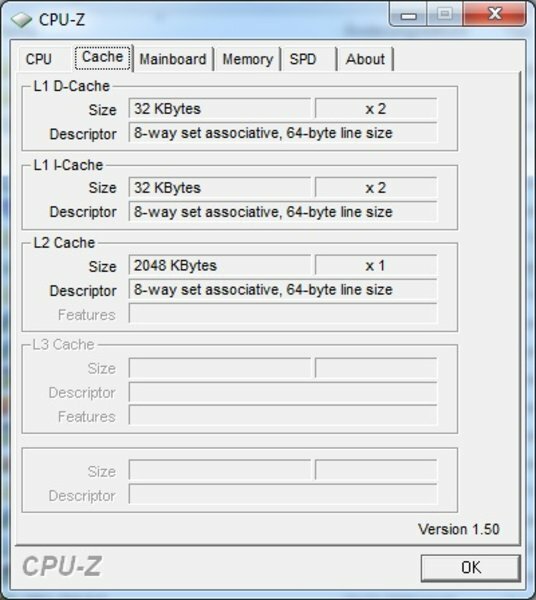 With a choice of a 64-bit operating system, a large part of the 4 Gigabyte physical RAM, 3.96 GB, is available to programs. The remaining part is needed for the operating system itself and for controlling peripheral devices (Memory-Mapped-IO). 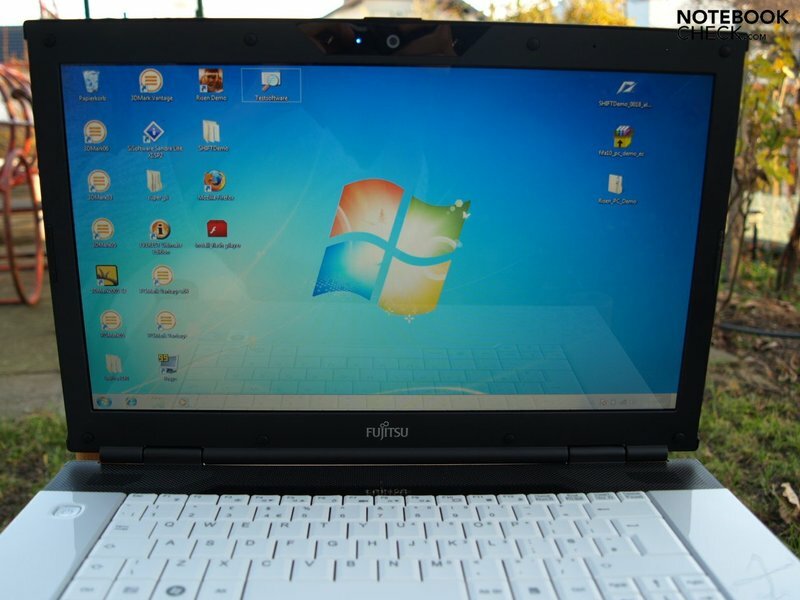 Depending on the country of sale, Fujitsu offers 12 or 24 month warranty as standard. The type of service (Bring-in or Collect and Return) is also dependent on the country. At a fee, extensions of up to three years of the Collect and Return service are possible. 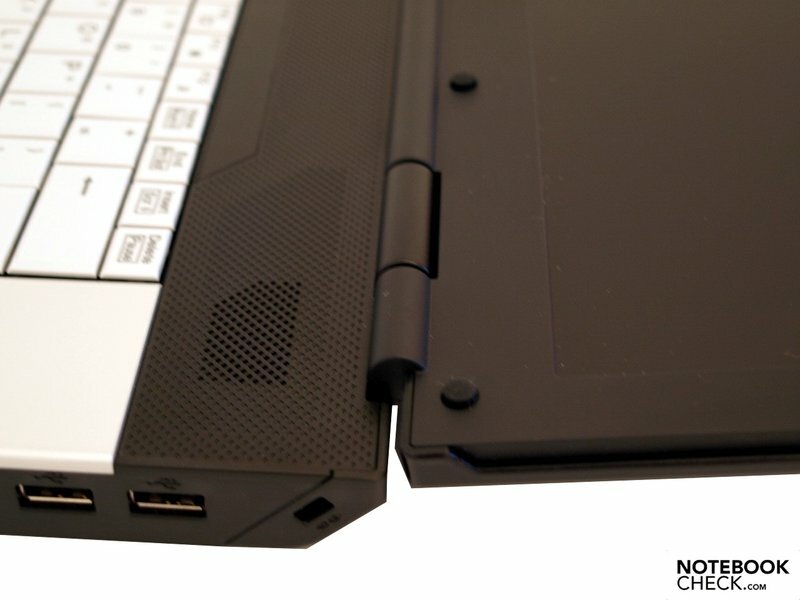 With a spray-protected keyboard the notebook will survive one or another mishaps with drinks. 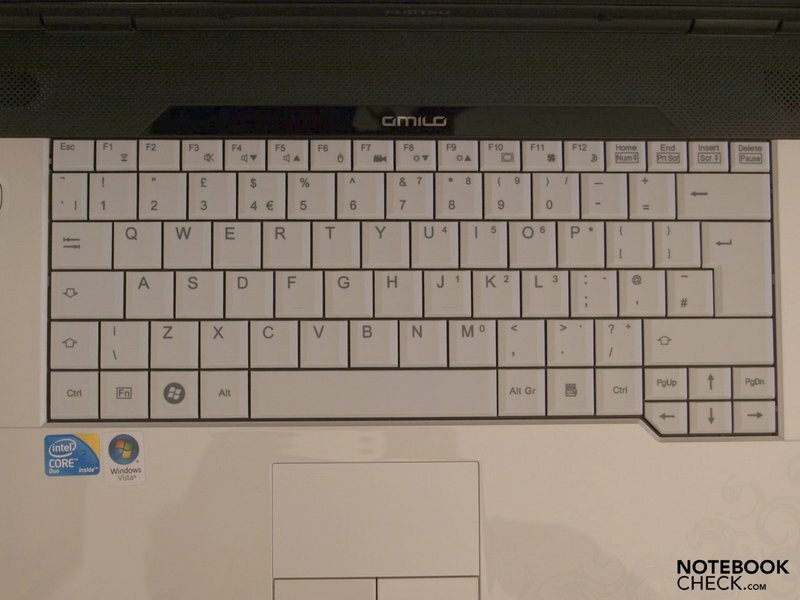 The standard keyboard layout with totally comfortable, large keys and a two-row enter key provide for near mistake free touch typing. That our tester had the American key labeling was no issue for touch typing once the keyboard settings were adjusted. 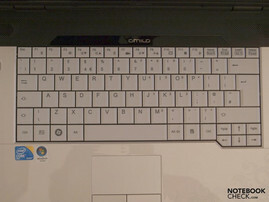 Left and right of the keyboard are relatively wide boarders leading to the likely conclusion that there would be enough space for an extra numerical pad were added. 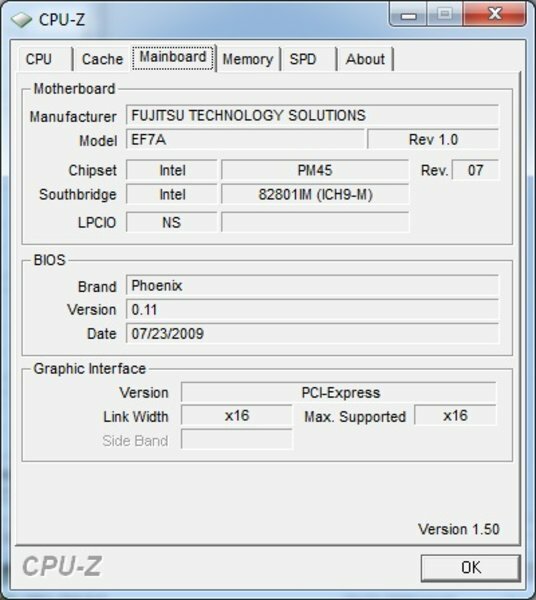 Fujistu left out such a thing on the Pi 3560. The sound mechanical characteristics of the keyboard, its obvious feedback and somewhat longer stroke distance also help with typing comfort. Further appealing aspects are its matt, hapticly pleasing surface, stable sub-construction, and quiet operation. The Amilo Pi 3560 has a standard touchpad without any special features. If the device is not being used, it can be shut off simply by pressing Fn-F6. While one has to make due without scrolling areas or even multitouch, it performs its main task, that being precision steering of the pointer, excellently. The lightly abraded surface also proves itself to be pleasant to the touch. This is less so in the case of the buttons painted in high gloss, which have a very short stroke distance and consistant feedback. Somewhat surprising for a multimedia machine is the complete lack of additional keys. Important functions like wireless modules, display brightness and volume are controllable via Fn key combinations. One gets optical feedback onscreen. In our test sample we find a display screen from LG Display, more specifically a LGD01E8 with LED backlighting. 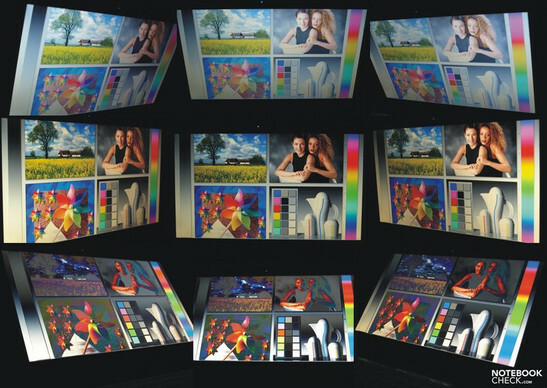 With a standard resolution of 1366 X 768 pixels, the reflective 15.6 inch (39.6 cm) display offers a theatre-friendly 16:9 format. Alternatively, models with 16 inch (40.6 cm) diagonal screens and the same maximum resolution, i.e. also in 16:9 format, are also available. 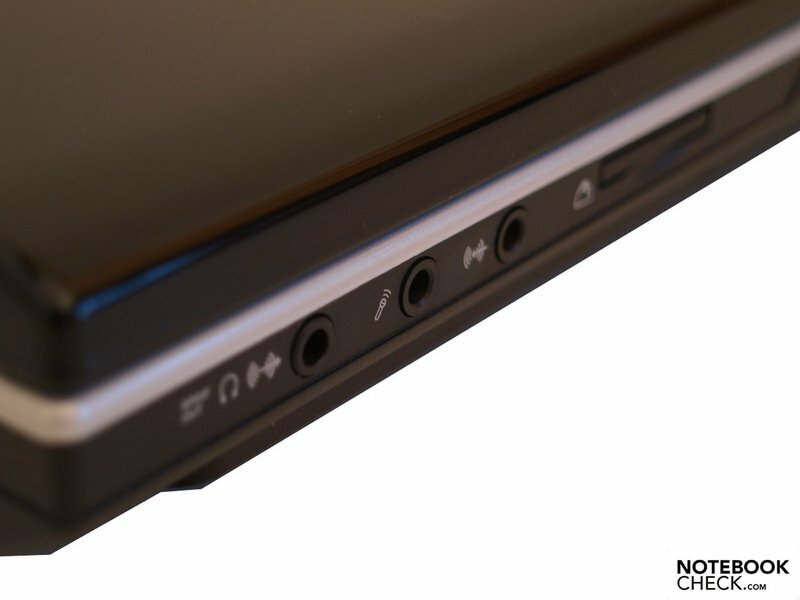 The 16:9 format is well suited for beam-free film playback and thus corresponds fully to the notebooks orientation as a home theatre. For other, more vertically oriented applications, such as picture editing, internet and Office, more height would be desirable. The BrilliantView TFT doesn't come close to the advertised 220 nit (cd/m²) in testing. We measured a maximum of 201 cd/m² in the upper middle part of the picture. The brightness diminished too much, especially in the lower left, where we registered a mere 152.9 cd/m². Thus the panel achieves an average illumination of only 76%. Due to the relatively high black level of 1.39 cd/m², the maximum achievable contrast comes out to a limited 1:144. That's far off the manufacturer's claim of 1:600. Subjectively, the picture seems sharp, the colors usable and skin tones relatively natural. Aside from the fact that the upper left corner seems darker, little to no shadowing is perceptible to the naked eye. The glossy surface of the screen confirms that the Amilo Pi3560 was not developed for professional use. 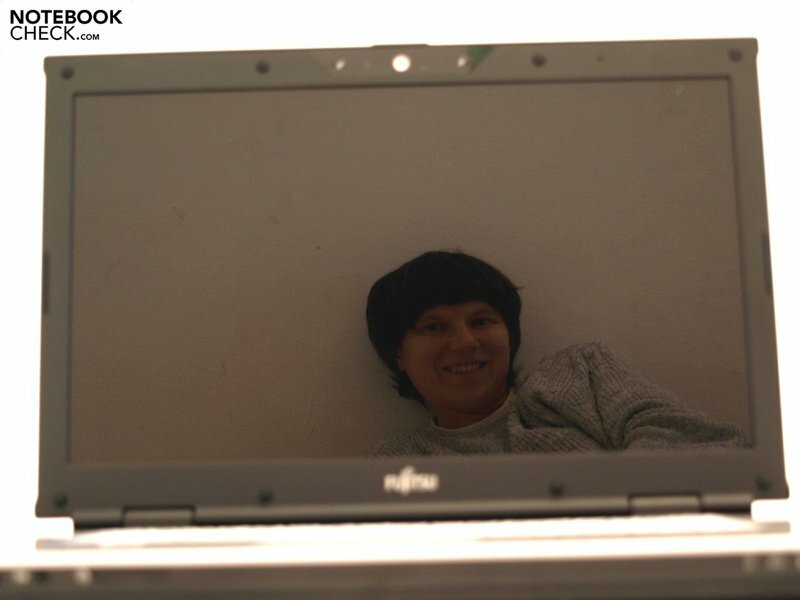 Depending on the angle of light and the picture displayed, the users own reflection as well as those of his surroundings are quite visible, even when indoors. When it comes to outdoor use, especially under direct sunlight, there are decidedly better notebooks. Thus it seems quite odd that the manufacturer tries to sell it as being "perfect for use outdoors"! In terms of the processer, individual models can be equipped entirely different. 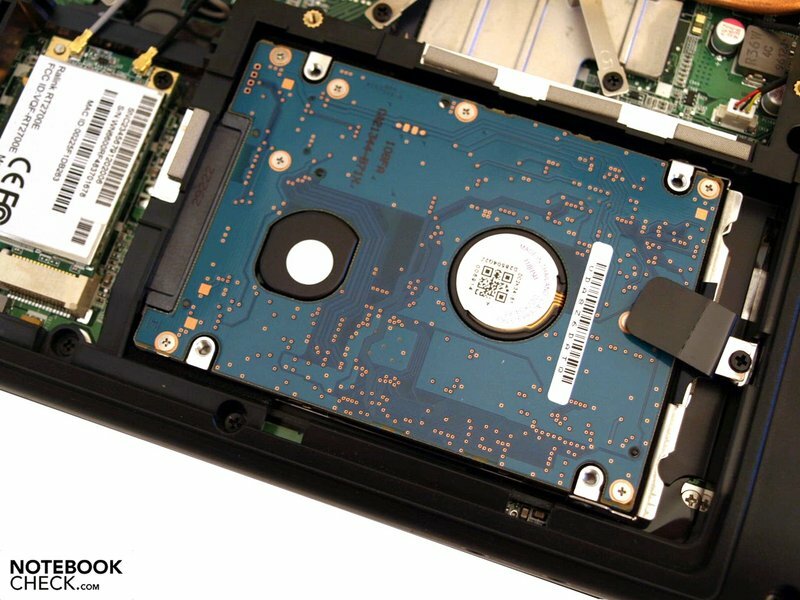 In any configuration, a dual-core processor from Intel is built in, in our case an Intel Core 2 Duo T6600. 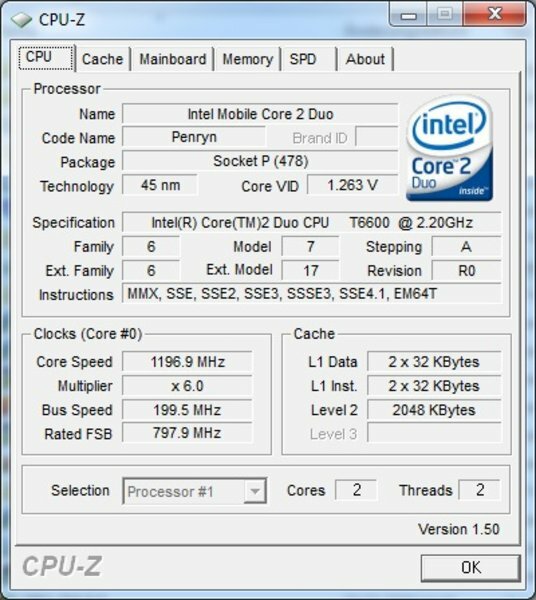 The CPU with 45nm, codenamed "Penryn" works with a clock rate of 2.2 Ghz, 2 MB Level-2-Cache and 800 Mhz front side bus. 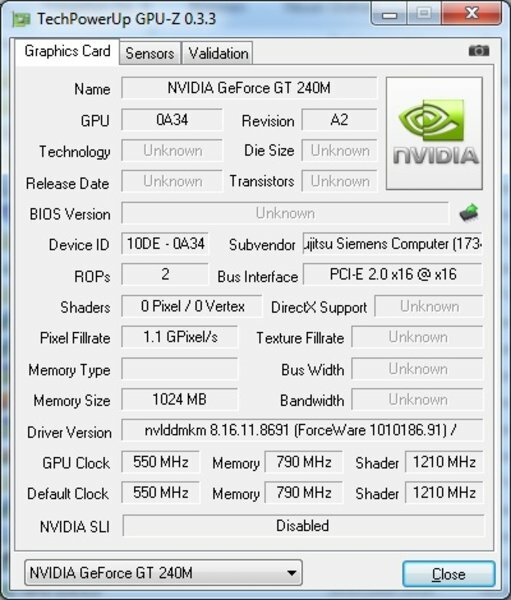 In all models, a Geforce GT 240M from Nvidia is responsible for handling the graphics. This carries with it a Gigabyte of independent video memory and can divert up to 4606 MB of shared memory from the main storage (2798 MB at 4 GB RAM) depending on the RAM configuration. Thanks to CUDA, DirectX Compute, OpenCL and PhysX support, the stream-processors of the GPU can also be used for other applications and thereby unburden the CPU. 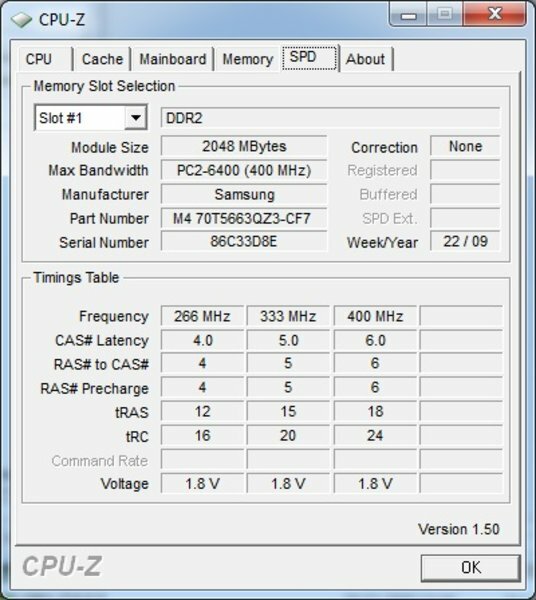 According to the manufacturer our GT 240M was equipped DDR3 VRAM. Theoretically, the GT 240M should belong to the upper middle class between the Geforce GT 130M and the stately old 9700M GTS. More interesting is the comparison with its competition from ATI, the Radeon HD 4650. You can see how it fared in praxis in our benchmark results and the game performance sections. 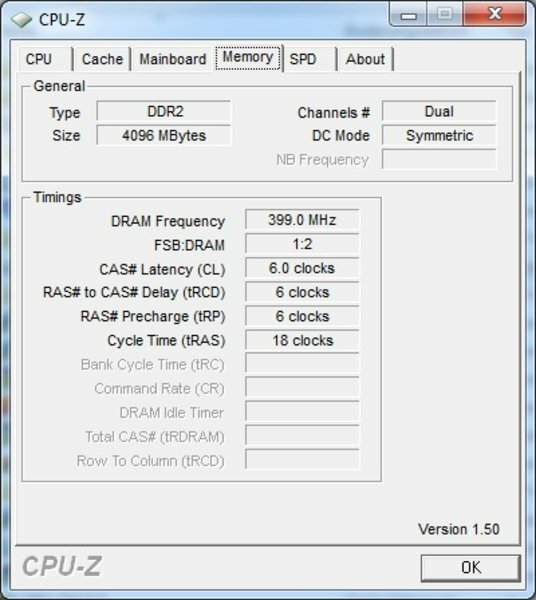 Four gigabytes of RAM divided between two 2-GB-DDR2 blocks were in our test sample. 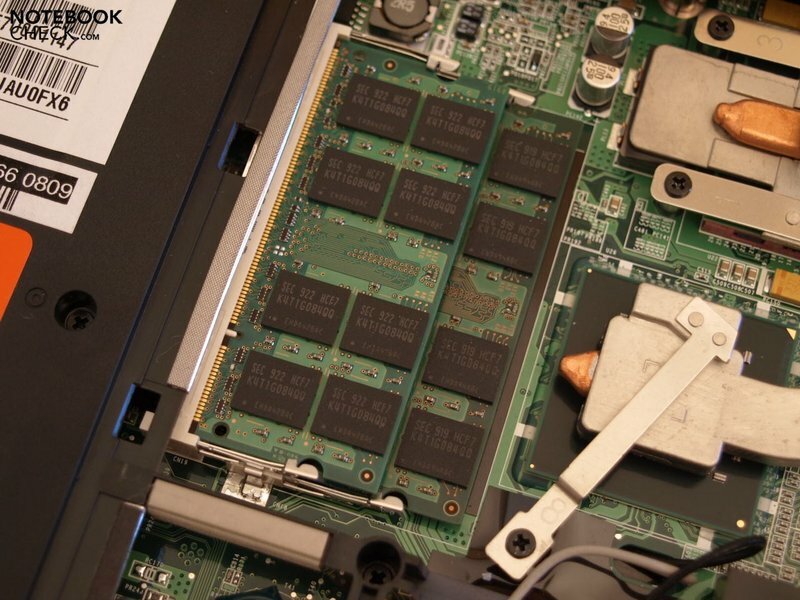 Both RAM slots are thereby occupied and at least one of the two will be rendered obsolete when upgraded. The PM45 Clipset supports a maximum of eight gigabytes of memory. Because Fujitsu delivers the Pi 3560 with a 64-Bit operating system already installed, there is little need to worry about support from the operating system. 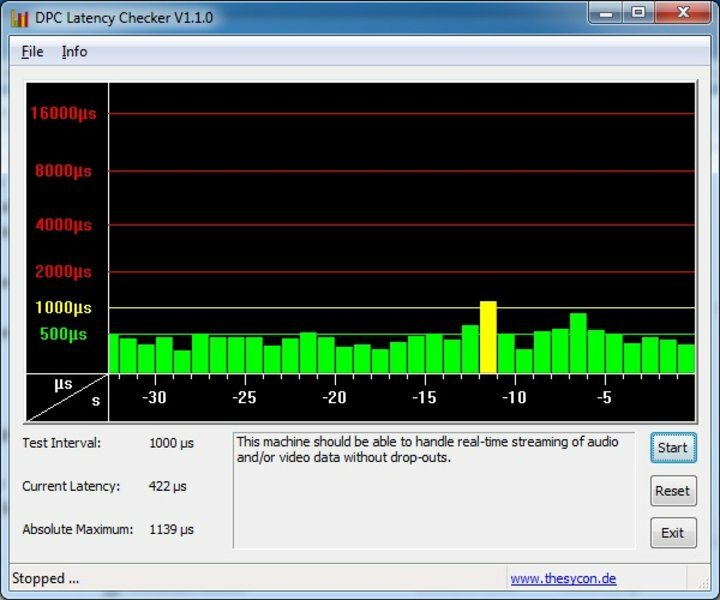 We also tested the latencies under Windows using the DPC Latency Checker tool. This resulted in readings which stayed mainly in the safe zone and only rarely jump just over 1000 µs. One can pretty much rule out problems caused by excessive high latencies when hooking up external devices. 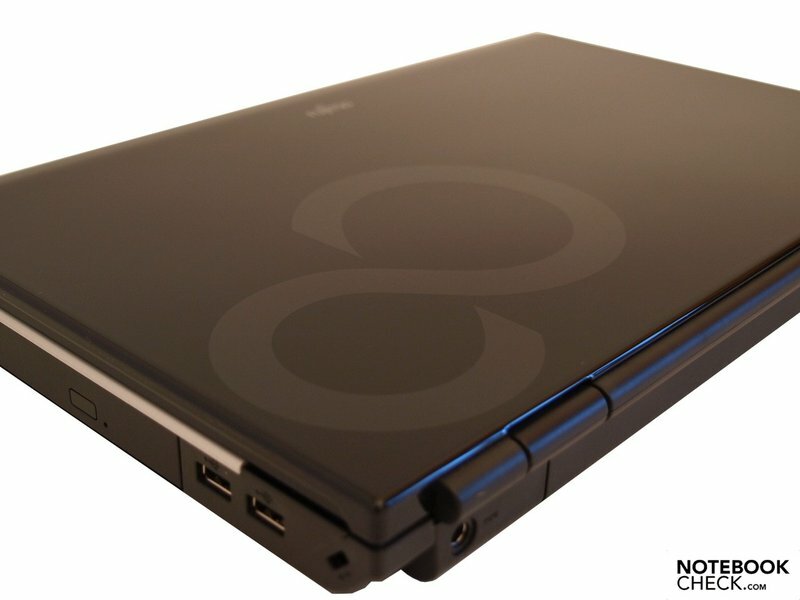 To be on the safe side, one should test the particular device in question directly on the notebook. Let's begin with application performance. In Cinebench R10, the Pi 3560 achieved 2521 points with single-core, and 4820 points with a mulit-core rendering and brought in 3211 points in the OpenGL-Benchmark. It was good for a whole 3813 points in the PCMark Vantage. A obvious performance advantage of 19% over the Acer Acer Aspire 5739G can be seen, which though equipped with a Intel Core 2 Duo P7350 CPU, the same graphic card, and a faster DDR3 RAM (also 4 GB), relied on a Windows Vista Home Premium 32-Bit. Now we come to the GPU-testing benchmarks. Beginning with the 3DMark 01, the Pi 3560 achieved a very good result with 21385 points. A still impressive 18038 points were gotten in the 3DMark 03. It was enough for 11429 points in the 3D Mark 05 while the 3dMark 06 resulted in 5947 points. Because the GT 240M has PhysX support at its disposal, we did the 3DMark Vantage once with, and once without the PhysX. With PhysX activated it achieved 2605 points (2063 GPU, 12236 CPU). Still good were the 2373 points (2072 GPU, 4198 CPU) gotten without PhysX. The built-in hard drive is from the manufacturers own line. 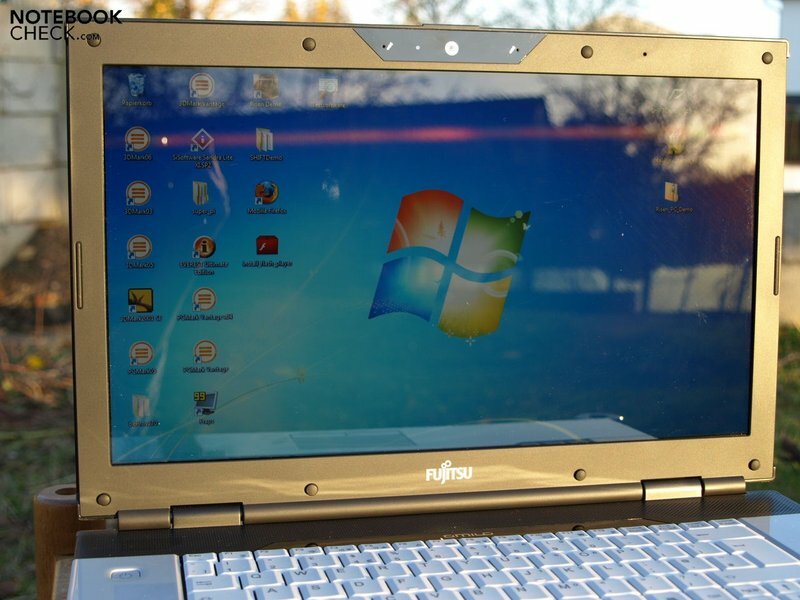 Specifically, it is a FUJITSU MHZ2320BH G2 This goes to work with 5400 revolutions per minute and with 320 Gigabytes of gross capacity offers a lot of space for user data such as photos, music, and documents. 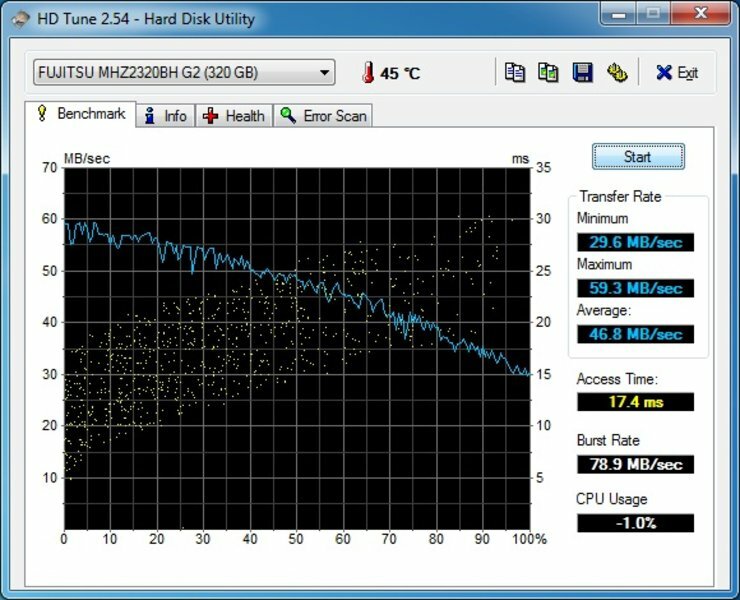 Our test sample was equipped with a DVD drive from TSSTcorp, a CDDVDW TS-L633A. As an alternative one can also choose a Blu-Ray-driver as a price premium option. The Geforce GT 240M also promises good gaming results. You can find complete results of our gaming tests in the rubric titled "Computer games on laptop graphic cards". Older games with modest graphic demands, for example Doom3, Quake3, and F.E.A.R. are no problem, even at higher resolution and detail settings. One has to completely reduce the demands of the graphics when playing more modern 3D-intensive game like Crysis. 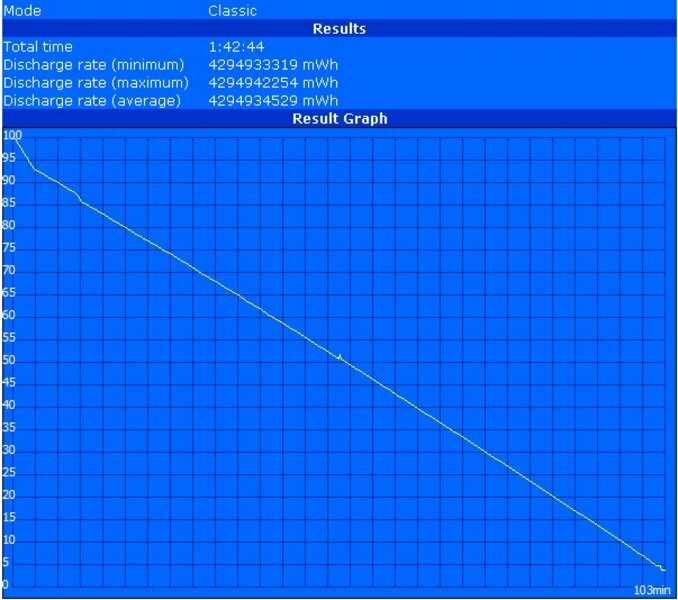 As a spot test we singled out Risen and outlined the frame rates achieved using the Fraps tool. With the averaged 53 fps at a resolution of 800X600 pixel and low graphic details, one manoeuvred quite fluidly as a cast-away upon a volcanic island in the Mediterranean. One can still enjoy the game even at a medium setting and a resolution of 1024X768 pixels. Only with the settings set at max and a resolution of 1366X768 pixels does the fantasy game get somewhat jerky, with an average of 18 fps and spikes up to 13 fps. The Amilo Pi 3560 in the configuration we tested is an overall pleasantly quiet machine producing relatively consistent and low-frequency ambient noise. This is also underscored by a measured value of 31.8 bB(A) while operation under light load. The fan speeds up under load and can reach a peak of up to 41.3 dB(A). Though the DVD drive can sometimes get a bit loud (46.7 dB(A)) when transferring data, the background noise it produces when playing films (36.7 dB(A)) remains within reason. 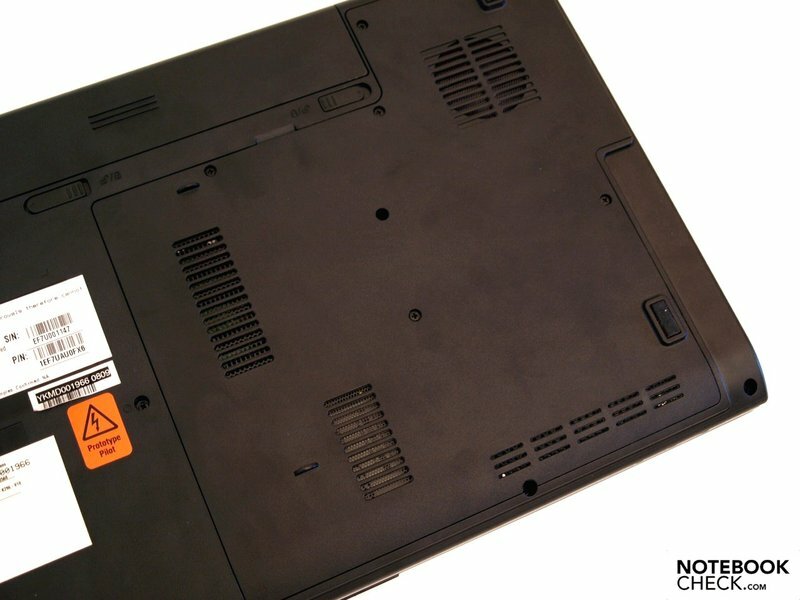 The temperature of the notebook's surface stays within reason when operating under light load. While the underside can reach a maximum of 37.9 degrees Celsius in idle mode and can exceed normal body temperatures with the energy savings option on maximum, at least the palm rests and keyboard remain pleasantly cool. The situations get worse when under load, however. Due to peak temperatures of up to 41.5 degrees Celsius, gaming with the laptop rested atop ones thighs is unthinkable. The peak value of 39.2 degrees Celsius reached on the upper side is likewise relatively high. Also the middle of the keyboard and the touchpad, which reach 38.1 and 37.9 degrees Celsius respectively, can get quite warm. Let's consider the heat management surrounding the internal components. It is shown here that at least the GPU is well cooled at idle and only reached 47 degrees. With around 74 degrees under load, it gets quite hot, though not critically so. The CPU also heats up to around 70 degrees under full load. 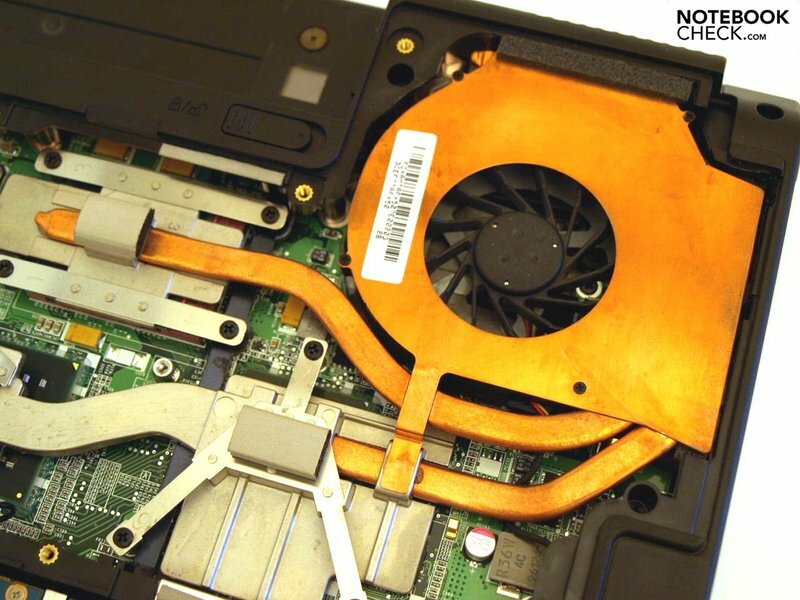 At idle, the GPU stays halfway cool at around 40 degrees. The notebook always remained stable during our tests. (+) The maximum temperature on the upper side is 39.2 °C / 103 F, compared to the average of 36.5 °C / 98 F, ranging from 21.1 to 71 °C for the class Multimedia. (±) In idle usage, the average temperature for the upper side is 32.3 °C / 90 F, compared to the device average of 30.9 °C / 88 F.
Both loudspeakers reside in a fairly obvious place left and right in the area above the keyboard. As notebook loudspeakers go, one can be thoroughly pleased with their balanced sound. Of course one shouldn't expect the integrated loudspeakers to compare to a sound studio. As no subwoofer was fitted, bass lines are not very evident. The maximum volume is alright for use in a medium-sized room. The review of the 3.5mm external speakers was carried out without incident. With the exception of the LED display, there are no special energy-saving components to be found on the Amilo Pi 3560. 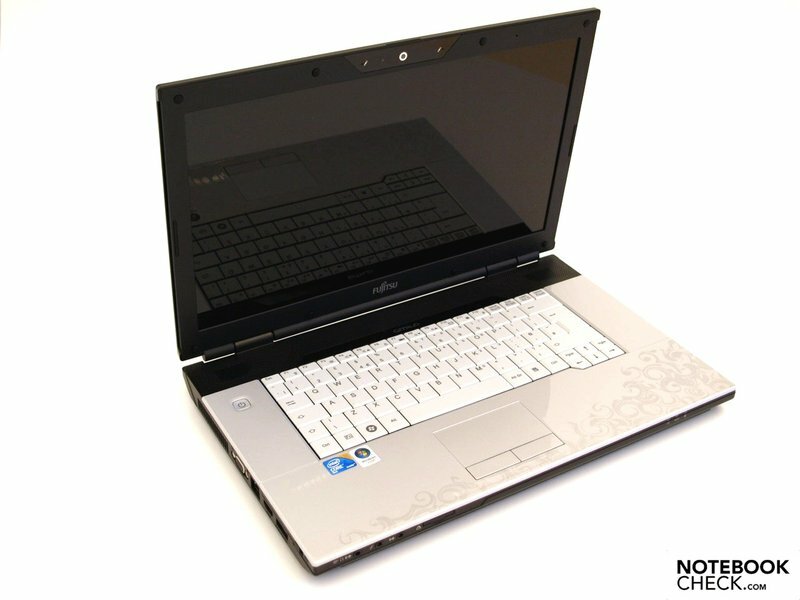 The built-in CPU, a Core 2 Duo T6600, needs a relatively high amount of energy at 35 watts Thermal Design Power. 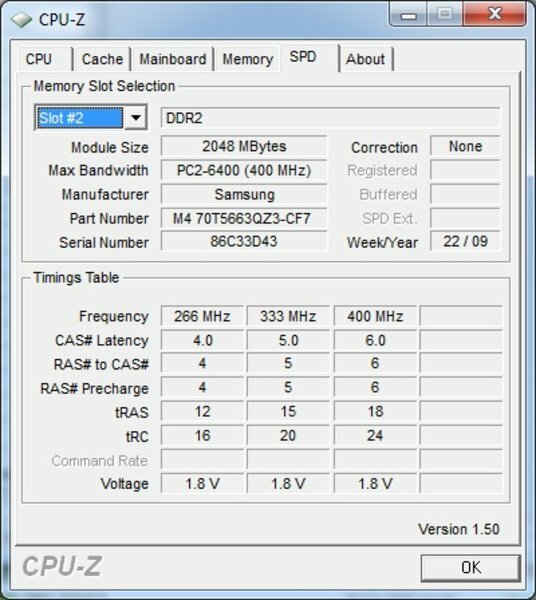 Compare this to the related Core 2 Duo Pxxx processors, which only require 25 watts and thus save quite a bit of energy. The independent graphic card, the Geforce GT 240M, also required more energy than a lower-performing integrated chip set. Its orientation as a multimedia device is obvious here. In total, the Amilo Pi 3560 needed a maximum of 70.4 watts. At its minimum it was still 12.2 watts. As expected, it can't hang with the energy-saving bosses. But, the demands on a multimedia device are still to be found more in the realm of graphic performance. 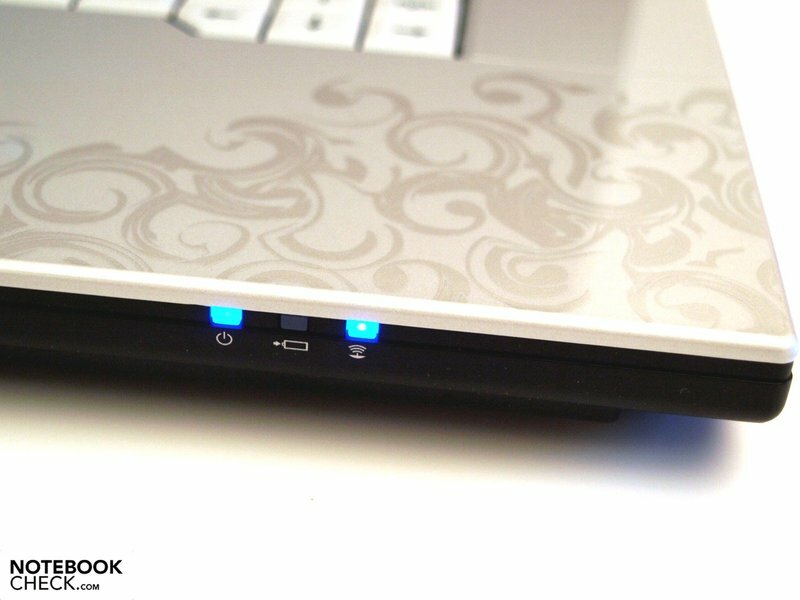 One can get just over 4 hours of reading with the supplied 6 cell battery with 53 Wh of capacity (11.1V, 4800mAh), assuming the laptop is set on energy saving mode, it is set on the lowest brightness and the wireless modules are turned off. This value was gotten with the Reader's Test of the Batter Eater Tool. 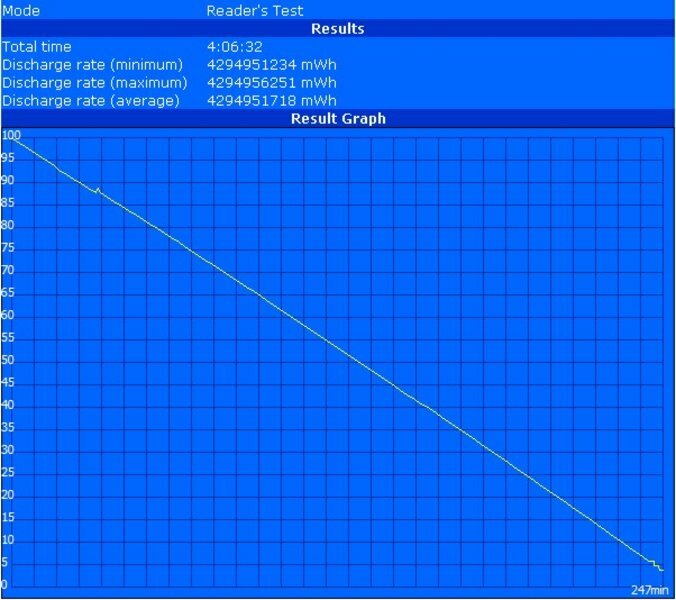 Measured under full load in the Classic Test of the same tool, only about 1 hour and 45 minutes of mains-free work was possible. For practical purposes, the battery life would fall somewhere between these two extreme measurements. When replicating real-life situations, we were able to get around 2 and 1/2 hours for internet applications via WLAN with the energy saving settings set to max and brightness set reasonable high. With maximum brightness and in high-performance mode, we got approximately 2 hours. That should be enough time for an average Hollywood film. Fujitsu has made and interesting, and successful pitch with the Amilo Pi 3560. Housed inside an elegant and seemingly robust case are relatively well-performing components. It could prove its good application and graphic performance in testing. All the usual Office applications and video playing devices worked fluidly. It also does well with image and video editing tasks, and modern 3D games are, depending on their demands, possible when set at medium settings. Overall, rounded performance for a fare price. 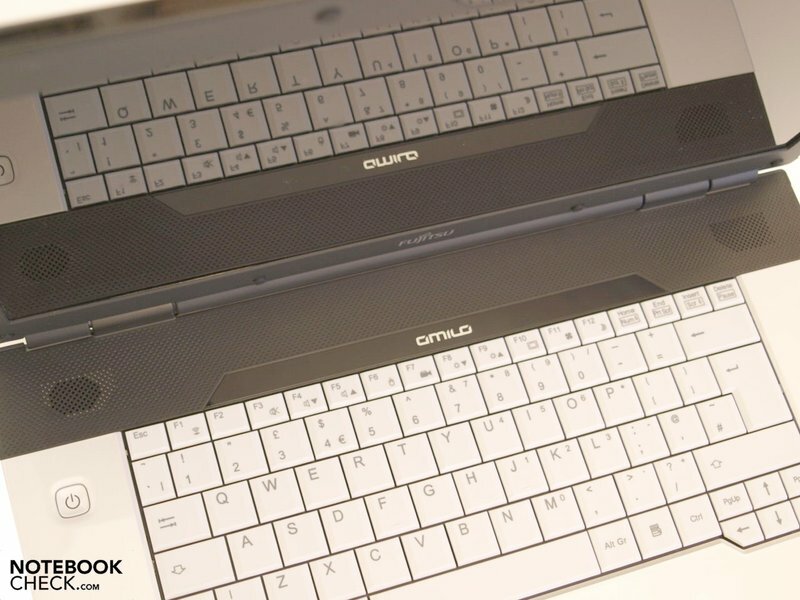 The comfortable keyboard and the precise touchpad catch on easily. The interfaces offered fit well with its intended realm as a multimedia device. Lefties, however, will not be so keen on their arrangement. This isn't an extremely mobile machine. The size and weight alone are not conducive to frequent transport. Moreover, the reflective surface of the display is not well suited for outdoor use. Still, the battery life is totally acceptable despite the high-performing components. Price-conscious buyers can put the Amilo Pi 3560 on their short list. For just 800 euros, its configuration fits perfectly into its intended application area, namely 'Home Cinema'. Depending on their demands, multimedia applications and games are no problem. It was, however, in no way developed as gaming bolides or for professional use in the graphic design world. ...the Amilo Pi 3560, supported by the pre-installed Windows 7 Home Premium 64-Bit, demonstrates good application and graphic performance. No wonder, that the notebook constantly blows warm air from the case. The underside can also get quite warm. ...or service the systems components. 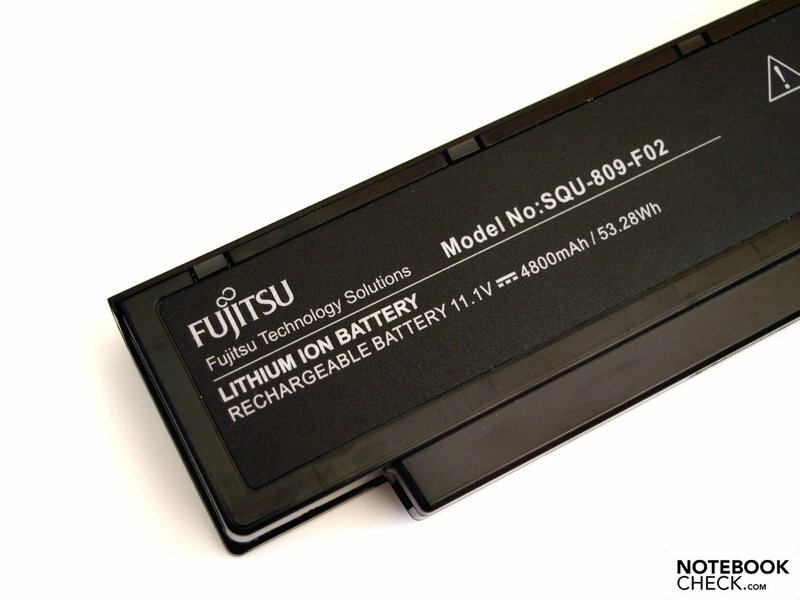 A still useable battery life is achieved with the 6 cell battery. One can be satisfied with the sound from the loud speaks just above the keyboard. ...is certainly apparent when used outdoors. ... and "silver" patterned palm rests. 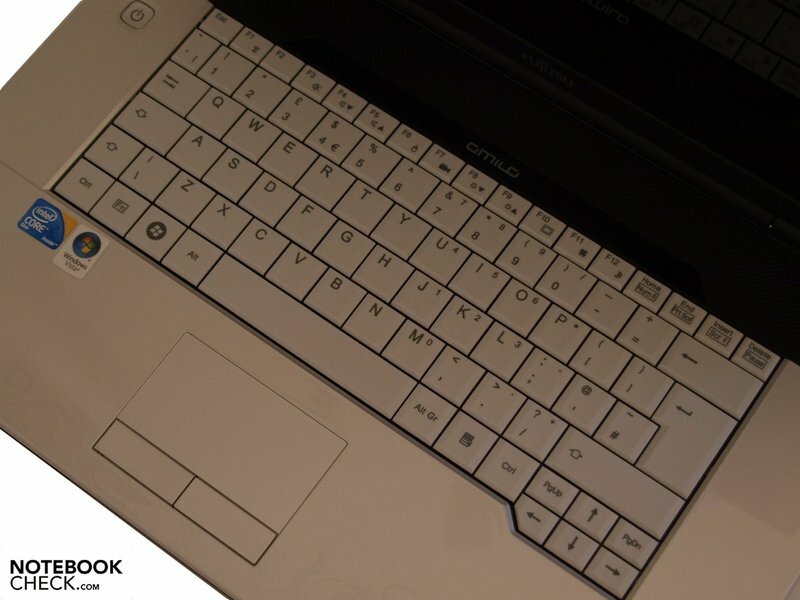 ... the arrangement of the interfaces fits overall well with the multimedia character of the notebook. ... left-handers may wrestle with HDMI cables, eSATA, or USB cables, etc. ... and the audio interfaces. The 1.3 MP WebCam serves well when video phoning. Furthermore, one can almost completely open the notebook. The keyboard and touchpad impress. + Very good application performance and good graphics. The fact that all the components matched their intended use. A thought-out interface arrangement. Less gloss, especially on the display screen. How a highly reflective screen can be "perfect for use outdoors" (manufacturer's quote). 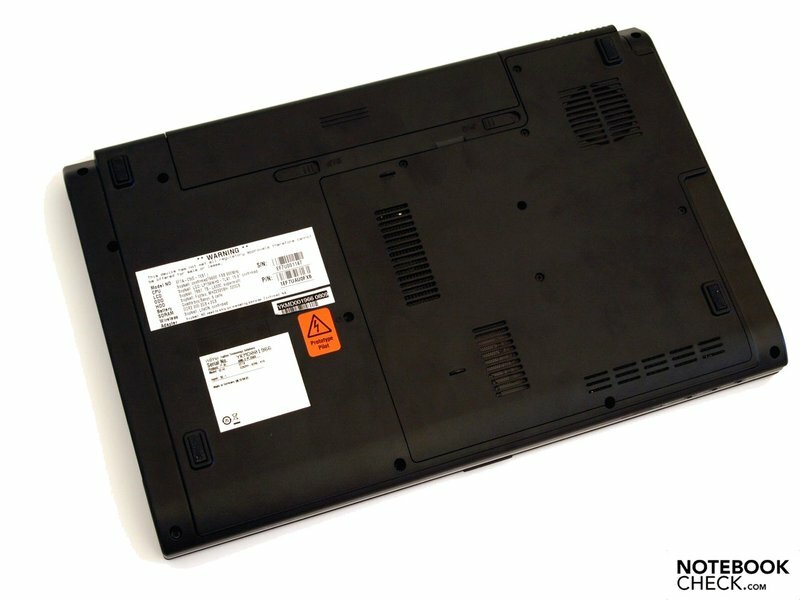 Other reasonably priced multimedia notebooks such as the Acer Aspire 5739G with the same graphic card. 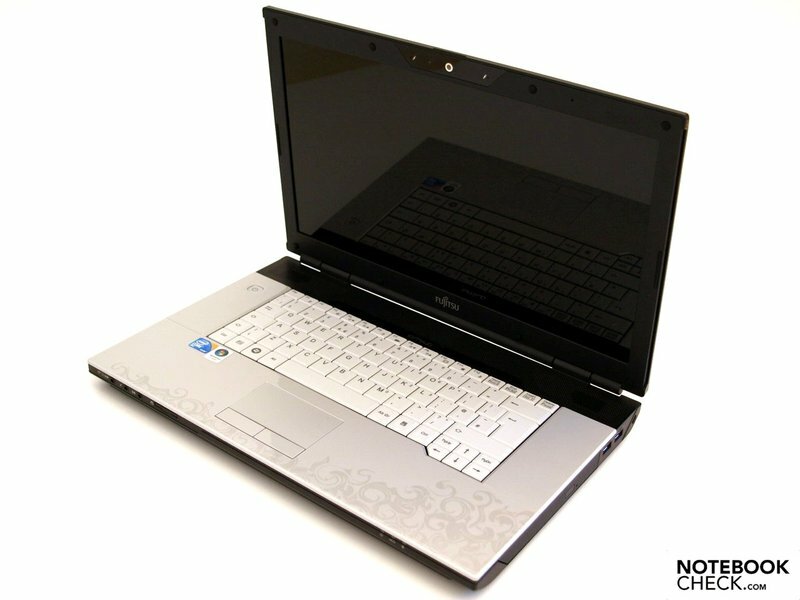 Slower low-priced entertainment notebooks like the HawkForce Mobile.Force M13.S1, the Acer Aspire 5536G, the HP Pavilion dv6, the Asus U50VG and the Asus K50IN. Or the price-wise equally attractive and faster gaming notebooks with Radeon HD 4650/4670 like the MSI GX623.